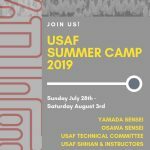 You are here: Home / USAF Latest News / 2019 USAF Summer Camp Registration Is Open! from Sunday, July 28th to Saturday, August 3th. We will be returning to the newly renovated Seaview Dolce Hotel, located at 401 South New York Road, Galloway, New Jersey. 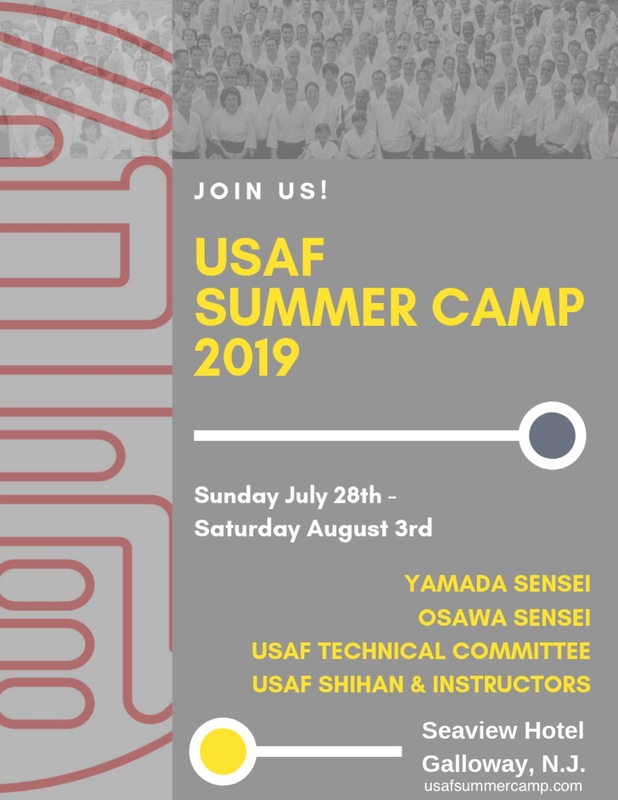 To accommodate Aikido camp participants, their family and friends, the hotel has blocked off a number of rooms at a discounted rate, including a very limited number of rooms for arrival prior to camp on Saturday, July 27th. You are encouraged to register for a Camp Package and book your hotel room as soon as possible. Although you will have to pay for your Camp Package in full at the time of registration, you will not incur charges for your hotel reservation until your actual stay. The DEADLINE for registration is Friday, June 21st but the blocked off USAF discounted hotel rooms may be fully occupied prior to the deadline. Information about purchasing day fees can be found through the registration link below. IMPORTANT TO NOTE: DAN TESTING WILL BE HELD MID-WEEK (WEDNESDAY). IF YOU ARE PLANNING ON TESTING AT CAMP, MAKE SURE YOU BOOK YOUR PACKAGE ACCORDINGLY. TESTING AT CAMP FOR DAN RANK REQUIRES AT LEAST 1/2 WEEK CAMP ATTENDANCE. Our on-line site provides an easy registration process, and allows you to register more than one person at a time and complete your payment without leaving the site.